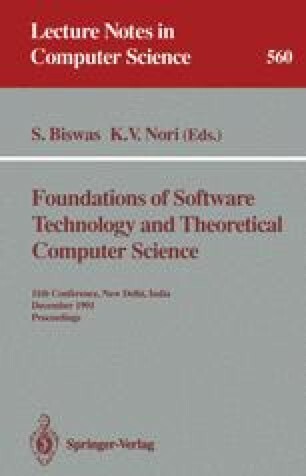 Techniques for reasoning about extensional properties of functional programs are wellunderstood, but methods for analysing the underlying intensional, or operational properties have been much neglected. This paper presents the development of a simple but practically useful calculus for time analysis of non-strict functional programs with lazy lists. We begin by considering an operational semantics for a non-strict functional language. The semantic rules directly induce a set of equations which form a basis of a calculus for reasoning about time-cost. However, one limitation of this calculus is that the ordinary equational reasoning on functional programs is not valid. In order to buy back some of these equational properties we develop a non-standard operational equivalence relation called cost equivalence, by considering the number of computation steps as an “observable” component of the evaluation process. We define this relation by analogy with Park's definition of bisimulation in CCS. This formulation allows us to show that cost equivalence is a contextual congruence (and thus is substitutive with respect to the calculus) and provides a uniform method for establishing cost-equivalence laws. The development of cost-equivalence suggests many other non-standard equivalence relations and preorders. In particular a notion of refinement arises naturally, in which one expression is considered to be a refinement of another (equivalent) expression when it is at least as efficient in any program context. Implications for a theory of program transformation are briefly considered. This work was partially funded by ESPRIT BRA 3124, Semantique.